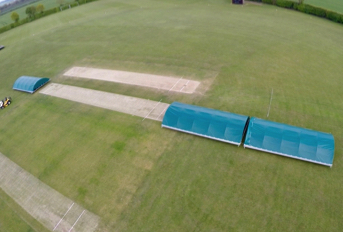 Running 17 of its own competitive cricket teams and also regularly playing host to Middlesex CCC for both training and match fixtures, first class cricket facilities are essential at this historic boys’ school. 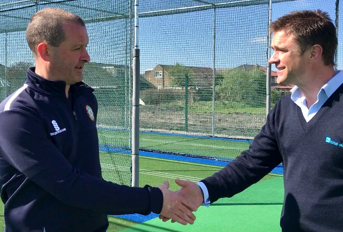 To cope with a busy coaching schedule, the school embarked on the creation of a new six lane non-turf cricket practice facility. 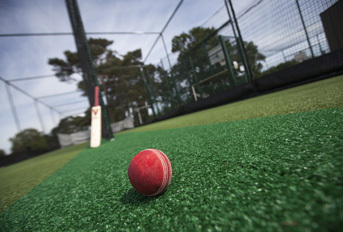 Following a competitive tender process, total-play was selected from a number of other suppliers of ECB approved non-turf cricket practice facilities; the company’s competitive pricing and site visits to view existing installations at Solihull School, Broxbourne CC, Hertford CC and Clifton College impressing the client. 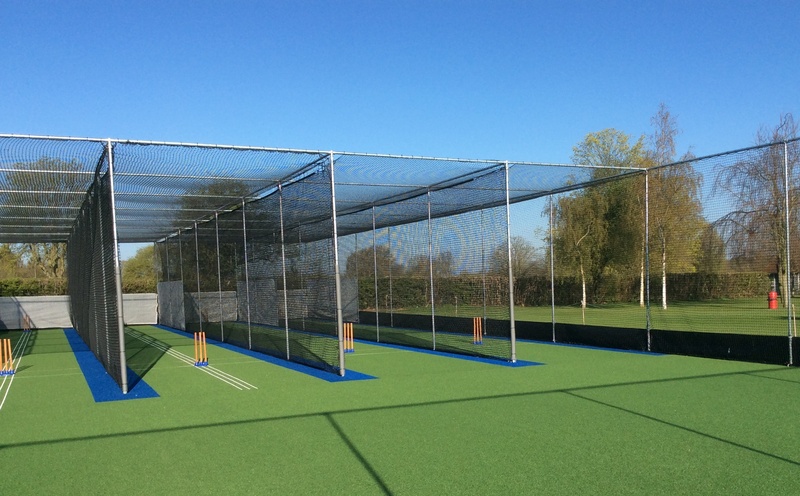 The new non-turf cricket practice facility was designed based on total play’s flagship tp365 ECB approved non-turf pitch system; with a number of bespoke elements to meet the school’s exacting requirements. 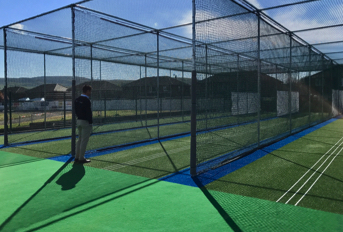 These included woven carpet throughout the 40m long non-turf cricket practice facility, including run up area and a new edge detail to create a slabbed mowing strip. White coaching lines woven into the carpet, HD protection tunnel netting and 4m high steelwork completed the system’s high specification. 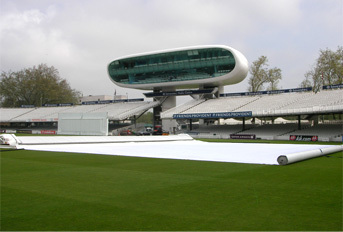 Before installation began, total-play carried out extensive groundworks including the demolition and removal of an old practice nets facility before cutting into a slope running across the new system’s line of play to create levels that comply with the ECB’s TS6 document. This was a detailed process and the earthworks were overseen by the client throughout to ensure the final levels were both compliant and suitable for future use. As part of the works a small decontamination area was also constructed providing space for pupils to change and the storage of equipment. The project was completed in March 2016, and has already seen significant use by both pupils and the Middlesex CCC squad. 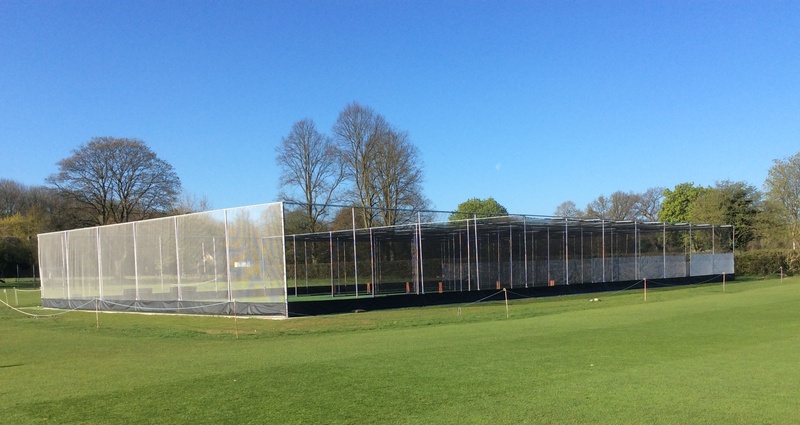 “total-play ltd completed a professional job on our new six lane outdoor cricket net area at Merchant Taylors’ School. The craftsmanship shown by the contractors over a 4-week period was fantastic, they even took daily photos to provide us with a before and after gallery. 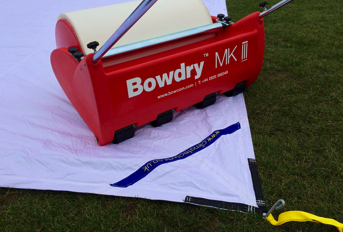 “I am really happy with the way the surface has played, the shock absorption on the bowlers run-ups are ideal. The pace of the surface is ideal in preparing to play on grass, the bounce is true and the surface plays at a good pace. The installation of the cage system is superb, and allows us to lock the facility, which enables us to manage usage.